Explain how Salesforce CPQ understands the concept of time. Explain why time is so important when selling to customers. Explain how a modern selling solution such as Salesforce CPQ is a catalyst for deeper relationships. Salesforce CPQ may be the only CPQ solution on the market with the concept of time built in. In the Product and Price Rules unit, you learned how our multi-dimensional quoting feature lets reps apply different quantities and discounts over time to ramp the deal. This is ideal for use cases such as subscriptions or other similar recurring sales models. In the Advanced Approvals and Advanced Order Management unit, you learned how Salesforce CPQ allows you to split orders off of a single quote so products and services are delivered across that same time period you set up. There's one more area where this concept of time is critical: renewal opportunities and quotes. Salesforce CPQ enables you to automate these as well. 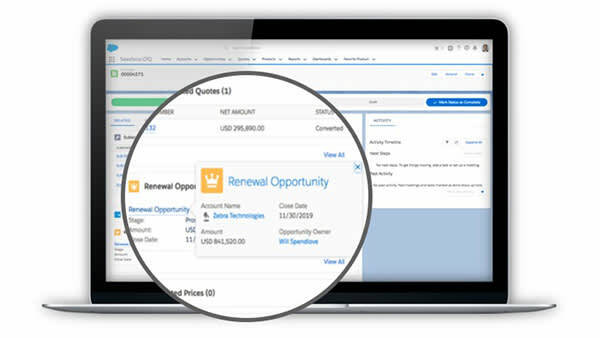 When renewals are in play, Salesforce CPQ automatically creates a renewal opportunity and quote so reps don't have to. On top of that, Salesforce sends the team a reminder when the renewal is coming up. All they have to do is jump into the new opportunity, ensure the data is correct (data is carried over from the original opportunity and quote), and then execute. This can very well be the most critical part of the customer relationship: understanding when and how to engage. With an automated solution that delivers service on time and knows when contracts are up for renewal, all of a sudden reps can pinpoint these exact times in the customer journey for ideal engagement. Again, this insight is not just important for sales, but also for marketing, which may be launching new relevant products or add-ons, as well as for post-sales teams such as service. Service teams can now focus their energy on keeping their relationships warm with the right customers at the right time. When you’re looking for tools to help you sell faster or to be more productive, it’s easy to get mired in features and functionality. We start thinking, Can this tool do X, Y, and Z? But when it comes to connecting with your customers in whole new ways, and especially regarding the quoting process and how you go to market, what we really need to ask is, What can we do differently, and how can this tool help us? Or better yet, How do we better put our customer in the center of everything we do? Product and pricing rules help product and pricing teams establish value and determine how to better package what you’re selling. Advanced approvals enable sales, operations, and legal teams to work better together to ensure there are appropriate checks and balances. Advanced order management helps post-sales teams (think services and partners) deliver as expected and on time. 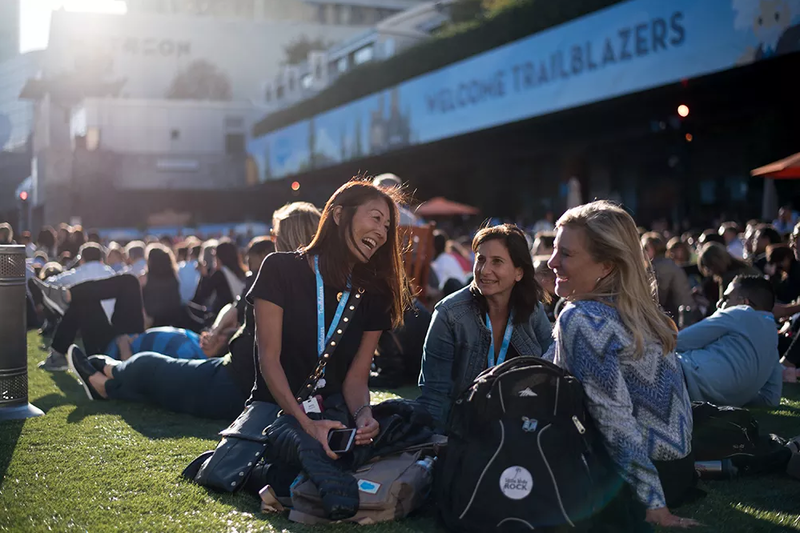 With all this data centralized, and with how Salesforce CPQ treats time, these teams can keep a better eye on the customer and iterate for better execution and delivery. Remember at the beginning of this module, we mentioned how customers demand personalized engagements and how important it is to know as much as possible about them in order to deliver the right level of service at the right time. If you do that, you increase your ability to achieve both short-term and long-term success. This definitely goes beyond technology. It’s about process, the relationships you have between teams and with your customers, and how Salesforce CPQ helps you get there.